Citing concerns regarding the future usability of the well-known cryptocurrency, long time software developer and proponent of Bitcoin Mike Hearn has announced that he will no longer be a participant in the development of Bitcoin. Hearn, widely viewed as one of the leaders in the evolution and development of technology to support Bitcoin, also announced that he had sold all of the Bitcoins that he once held. The problem, according to Hearn, was a result of Bitcoin’s ever increasing block size. 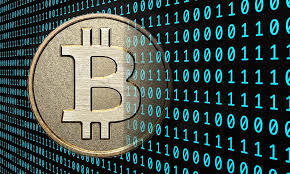 The larger Bitcoin block size makes the difficulty of processing transactions using the digital currency increase as more Bitcoins are mined using mathematical algorithm programs. For this reason, many people involved in the world of Bitcoin have suggested that new methods of processing transactions must be developed in order to lead to more widespread adoption of the cryptocurrency. Following Hearn’s announcement, the price of Bitcoin declined from around $430 to a low of just over $355 in a matter of less than 3 days before stabilising, representing a loss in value of roughly 15 percent. Hearn’s withdrawal from the world of Bitcoin is almost certain to have driven the rapid decline, as it was generally seen as a criticism on his own part that Bitcoin would no longer be valuable in the long term. Hearn’s exit, however, has minimal effect on the currency aside from the perception of other investors in it. The question regarding the resolution of transaction problems, however, has been noted by some analysts as part of a wider problem. Because it is neither regulated nor controlled by any single group or authority, monetary policy does not apply to Bitcoin in the same manner that it does to traditional currencies. This decentralized model has been touted as the strength of Bitcoin, but it may also be its greatest weakness. Without a single group that decides on the policy and usage of the currency, it is up to a global group of those who use, mine and accept it as payment to decide how such matters should be dealt with. This has lead to many disagreements over changes and alterations to the networks that allow the transfer and storage of Bitcoin, as in the case of this transaction disagreement.